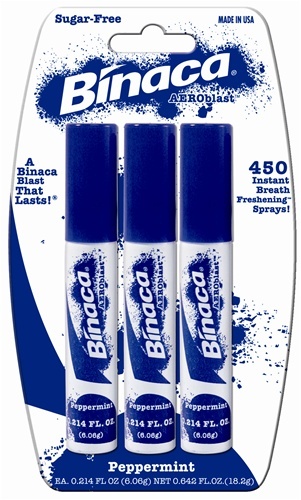 Binaca is specially formulated to freshen your breath instantly. It kills germs that cause bad breath and dissolves lingering aftertastes. So you can be fresh and ready anytime, anywhere, for anything! .214 fl oz per stick.